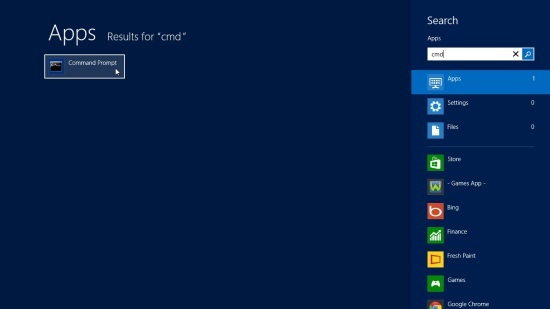 Here is a short tutorial on how to fix Pending status in Windows Store. Few days back when I was downloading apps from Windows Store, I realized that nothing is happening on the download progress bar and a Pending status is being displayed continuously. So I searched the web, and found that many people have encountered the same problem. Luckily I found a solution on Danish’s Blog in my first search, which I am going to share with you today. If you are also facing the same problem and looking for a quick solution that might fix your stuck Windows 8 apps you were downloading, follow this simple tutorial, as guided step by step. Go to the Start screen and start typing cmd. 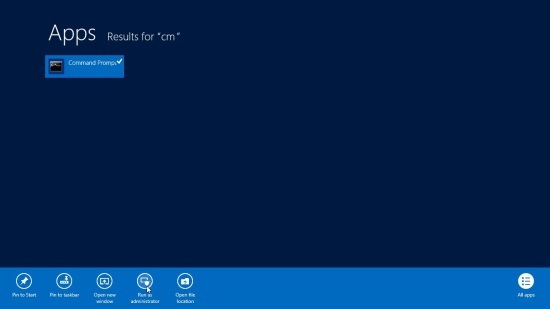 Command Prompt will appear in the search results. Right click on it to bring the bottom flyout. Click on Run as Administrator option. The Command Prompt window will be opened on your desktop. Type net stop wuauserv and press Enter. This would disable Windows updates. Delete SoftwareDistribution folder, or rename it to SoftwareDistribution.old. Now go back to the Command Prompt window and type net start wuauserv. This would re-enable Windows updates. Go to Control Panel\All Control Panel Items\Troubleshooting. 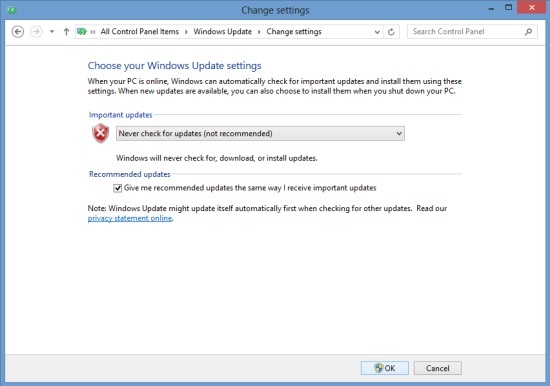 Click on Fix Problems with Windows Update option, under the System and Security section. Continue clicking next with admin right (wherever prompted) until it starts troubleshooting your system. Once it finishes, close the window. That’s it! The next time you open Windows Store and try downloading apps from it, you won’t find the annoying “Pending” status again. Note: If you find it hard to delete SoftwareDistribution folder, try manually turning off Windows Updates through Control Panel (Change Settings option) before using Command Prompt. 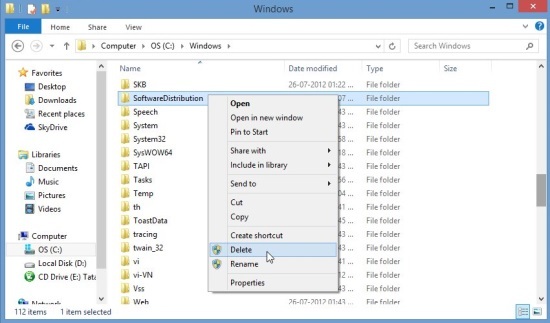 Do remember to turn it on after the folder deletion. Hope this would help you get rid of the Windows Store problem. Do share your suggestions or feedback in comments. Also check out some more interesting Window 8 How To’s, like how to create a system restore point in Windows 8, how to change lock screen background in Windows 8, and how to add a Shutdown button on Windows 8 Start Screen.